The Contextual Studies Seminar is a series of meetings that consist of lectures, readings, screenings and discussions on selected examples of practices, case studies, and texts, introducing the key concepts of the Open Set annual themes. The Seminar aims to generate an environment within the practice-led Open Set programme in which participants gain knowledge on specific themes of the annual programme, develop a set of useful methodologies to encounter related multidisciplinary theoretical sources, and articulate the position of their current practice within the introduced settings, terrains, fields or contexts.
. Together we investigate rhythm-led practices as common ground for research and artistic practice. 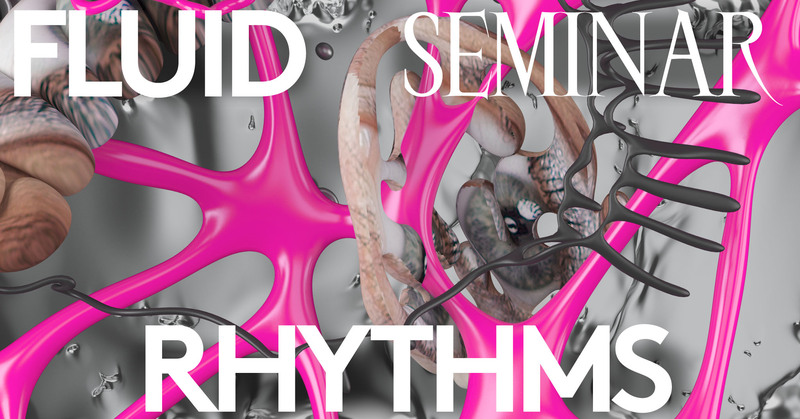 The seminar is open to practicing artists and designers, as well as researchers from different disciplines, interested members of the local community, activists, educators, curators and social servants, who are curious to discover the relevance of rhythms for their practice. Besides, it is also possible to continue the programme, by joining the related Summer School and the Seminar ‘Rhythmanalysis in Context’ (October 2018–February 2019). Life in the city both repeats itself, and is constantly changing. Situated in the Bijlmer, one of Amsterdam's most vibrant neighborhoods, Open Set launches a new programme, dedicated to exploring the potential of rhythm in the city. The movement of bodies in space; financial transactions; the circulation of sounds, cells, and smells; changing social constructs that divide and connect people; the flow of microscopic substances—such looping patterns generate dynamic complex structures, or ‘rhythms’, that shift over time. In the words of Caroline Nevejan: “Where there is rhythm, there is life”. Understanding and working with such dynamic complexities requires careful attunement to the interactions between social, imagined, and physical realms. The programme will be contextualised around the modern, historical, social and environmental frameworks of one of the most vibrant neighborhoods in Amsterdam Zuidoost (South East), in the Bijlmer residential area. All events are hosted and supported by the municipality and local cultural centres in Amsterdam Zuidoost. Access to a rich body of resources, methods and (online) materials on rhythmanalysis and cross-disciplinary perspectives in research and arts. Experience in reflecting on your practice, focusing on potential directions of its development and on presenting it to the broader professional and general audience. Should you be interested to apply to the seminar, please send your CV, a portfolio of projects, and most importantly a motivation letter to apply@openset.nl or opensetschool@gmail.com. The applications are reviewed and accepted on a rolling basis. The applicants are informed about the decision within a timeframe of 10 days. You can apply for a Full Programme Package, a LAB+SEMINAR Package, or participate in only one of the three modules: LAB, seminar, summer school. The City of Amsterdam generously supports 15 full scholarships (worth €1800 per person) for participants based in Amsterdam Zuidoost. For more details check the Apply page. The programme is made possible by the support of the City of Amsterdam Zuidoost, Amsterdams Fonds voor de Kunst, Het Pauwhof Fonds, CBK Zuidoost, and has been organized in collaboration with the research group Designing Rhythm for Social Resilience (2018–2022). The visit of Heather Barnett is made possible by Het Nieuwe Instituut with support of the Ministry of Foreign Affairs.